Using Reserve to Clarify a Complex Tattoo! It's always fun when our clients approach us with compositional challenges. In some cases this may mean a laundry list of ideas which need to be narrowed down severely; in other cases, like the one shown here, it's just a matter of bringing the elements together in such a way that they can coexist peacefully in the same composition. My client here had asked for a cicada, a skull and some cool geometry. Given no space limits I opted for the largest composition that the leg allowed for, which gave me a sizable canvas in which to bring together these three seemingly unrelated elements. 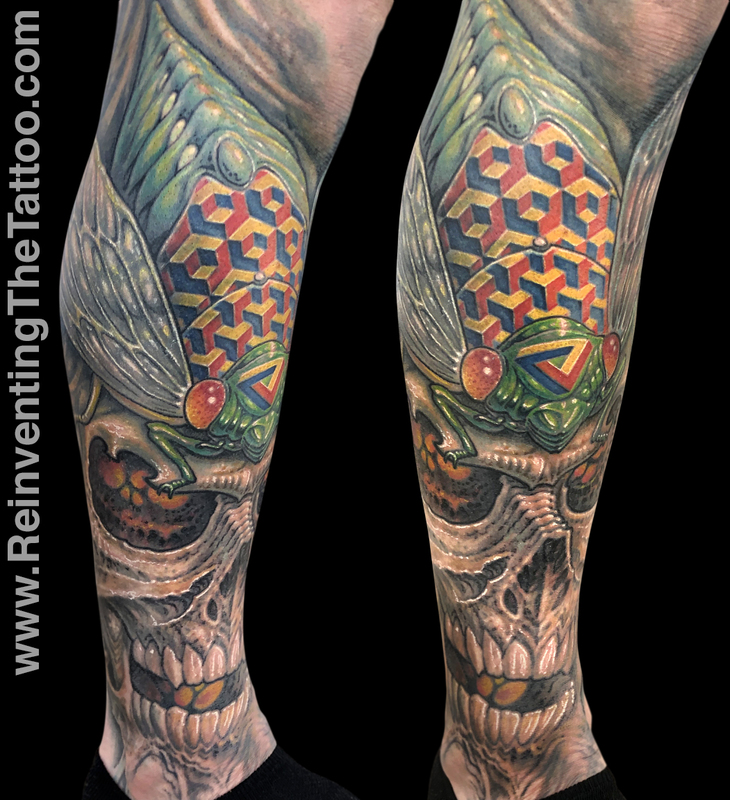 You can read in detail about my design strategy, including how I reserved certain colors and textures for certain shapes in order to retain clarity, in the Reserve chapter of your ReinventingTheTattoo.com subscription.